In these summer months, already halfway through all the mega sequels now, only one really REALLY delivered. And that one is named Live Free or Die Hard (why we get an alternate title, beats me.0). Three previous chapters were solid actioners in its own way. Many have copied and failed over the years, and hence, with this fourth part, it’s still the same while feeling fresh. And it’s updated to these times too, not only the looks (bald, leather jacket), but also with computers and all. When I first hear Len Wiseman would take the seat behind the camera, I was a bit weary. Was he experienced enough to make this work, with only 2 high special effects, ultra-fast cut pictures under his belt (Underworld + sequel) ? It’s a far throw from the previous old fashioned car chasing, bomb exploding, building jumping action sequences. But I have to tell you, it _DOES_ work. Some of the fast cutting is still there, but overall, there are inventive eye-popping sequences, from beginning to end. Some overly-big overdone special effects shots close to the end are a bit extreme, but for the whole experience, it’s quickly forgiven. Story is reasonable too, and it’s mostly the short dialogue and quips that do the trick. As for chemistry, it’s hard to forget the team-up with Samuel L. Jackson twelve years ago, but Justin Long is performing quite well too. All in all, for now, with less than a handful of summer tentpoles to go, Bruce is definitely the current winner.9. With the help of God Himself, Evan Almighty stands on top of the box office this week. With the same God (Morgan Freeman) but another star (Steve Carrell replacing Jim Carrey), this insanely high budgetted comedy (at $175 million, it’s more than double the amount of Bruce Almighty) also doesn’t reach the spectacular opening in 2003. With a $32 million opening, it’s less than half of what Bruce got the first round ($85.7 million). At 2 opens 1408, at John Cusack/Samuel L. Jackson thriller doing moderately well in both critic and general public reviews. It scares up $20.17 million, only a notch lower in screen average then Evan Almighty. At 3, the Fantastic Four ain’t rising much at all, dropping a devastating 65%, it surfs together $20.15 million in its second week. Ocean’s Thirteen brings in $11.3 million in its third week, while Knocked Up has another week with good retention, with $10.6 million (just a 24% drop). Marketed as a new thangg, Bon Jovi meats Nashville, it’s strange to make Make a Memory their first release single release. It’s co-written by Desmond Child, and he’s the least Nashville-ish of the album’s collaborators. No matter though, the other album tracks make it quite clear where it’s all heading. It’s the light instruments, he likes of banjos and mandolins, setting the tone and pace here. Longer melodic verses and more subtle choruses finish of this nice rock/country merger. Guest vocals by country singer (most notable Leann Rimes) is added for recognition. While it’s clear now the songs with the all-too regular voice of singer Jon Bon Jovi combined with the still unspectacular lyrics aren’t really going to grow on me, the musical composition gives a warm fuzzy feeling. That means while I won’t drop these songs too often on my current playlist, when they are finally played, the positive buzz will keep my finger from the fast forward button. It’s a worty benchwarmer till the next big thing hits the stores (Jewel, Faith Hill, Shania, anyone ?).7+. Can two ogres keep the interest going for a third time ? The story is still roaming the fairy tale landscape, and that’s a nice touch to keep. But as a whole, it feels like nothing really new is told. There weren’t any intricate story devices, nor were smart jokes involved. A few new characters are introduced, and none of those are really memorable. Heck, none of the “regular” cast get anything remotely close to quality time. It’s beginning to feel like a Movie-turned-TV series, where you slowly begin to lose interest. If Shrek 4 (tentatively 2010) doesn’t shake things up real good, I think this franchise is doomed (if not financially, at least artistically). Of course, if you can still laugh about the burping and farting, this is still for you, coz I must admit I did laugh a few times.6Â½. It’s nice to see fresh content on the airwaves throughout the summer, and while we’ve expected the cable channels to do so, the big networks aren’t sitting idly by. Reality shows also continue, and first up is Fox. On the Lot is a Burnett/Spielberg production, with Burnett (Surviver, Apprentice, Contender), naturally, taking care of the reality side of the show, while Spielberg has the cinematic input. And it had potential during the pilot. Directors from all over the place, filmed during their creative process. Very interesting to see them working and creating. Judges (a guest director, Carrie Fisher and Garry Marshall) filter the good from the not so good. But then simplicity kicked in, the money making takes over. Already in the second show all of the pilot elements have vanished, and you’ll get served with the short contending movies followed by a vote off round. There’s even a show that only rehashes previous quotes from the judges followed by the eventual elimination (with money made by people voting by phone and sms, and other forms of woven-in ads). Quality wise, it’s a slap in the face, knowing Spielberg’s name is attached to it. But the some of the short movies are interesting and funny, so in this TV low season, I’ll just keep on watching a bit more. Last Comic Standing seems to have found a permanent home at NBC during the summer months, and it’s very much like previous seasons. Now going wider (including the UK and Australia), most comedians are able to make me laugh quite a bit. As long as the keep the “reality” part low key, and the comedian’s performances high, there’s no reason not to watch. Fantastic Four: Rise of the Silver Surfer uses its cosmic powers the slide its way to the top spot with a healthy $58 million, just a tad more than the original 2 years ago. Ocean’s Thirteen will have to do with the runner up spot, with $19.7 million and a respectable $70.4 million total. Knocked Up hangs on the third place once again, with $14 million (and a very healthy minimal 28% drop). At 4, Pirates 3 sails on with $12.4 million while Surf’s Up rounds out the top 5 with $9.3 million. CW decides to launch a show during the summer months too, and Hidden Palms is set in the sunny Palm Springs. Coming from teen dram vet Kevin Williamson (Dawson’s Creek), it’s again targeted at the same demographics. So I could’ve seen the result coming before ever watching the pilot, but I just had to see it for myself. Like most of these shows, it’s all about looks, and not about content. It’s about a family moving into a rich neighborhood, where we find all the rich kids have their own problems. Teen angst works well for some audiences, but here it doesn’t serve anything ‘cept to prove its inept writing, as seen by how easy it is to predict how all love interest will work out. Extra ingredient to make it look smarter, perpetual circular logic is mostly applied, but the dialogue, while seemingly having poetic depth, is actually saying nothing at all. As some kinda of last straw, they add some kind of mysterious history for every character, but I’ve seen enough to know it will probably lead to nothing worth watching. Summer seems a little bit longer now. And another chapter of this over-crowded crime caper. Back in the casino game (Ocean’s Eleven), you have the same structure as before. It’s pretty much more segmented than the average centipede. Characters are all shown for short period of times. Some even don’t have a significant function in this whole. It’s a bit low on action too. For humor, you only have those slick one liners and facial expressions. That pretty much sums it up. If you like all the previous Oceans, you’ll probably like this one too. But for me, it feels too low-budget-ish, and too generic in storytelling.7-. “I used to act dumb. It was an act.” In-direct quote from Paris Hilton, from an in-jail phone conversation with Barbara Walters. I wonder if she filed “night-vision home videos” under the category “dumb”. If she did, the world will never be the same again. Summer season has started, and that means only one or two new shows are on. ABC tries on another cat-mouse chase show with a mystery to be solved. Hmmm, Prison Break ? No, not quite. Cinematography might try to copy that, but the rest remains too slippery for them. They practically reshot all episodes to accomodate the serialized story lines, but it still looks like they just throw in a mysterious character here and a mysterious plot there, just for the fun of it. The result is just two guys running around like a bunch of headless cows. So here’s a show without a mission, characters that are one-dimensional and mostly irritating at best, and frankly, not worth my time. This week, fortune sets sail somewhere else than the Carribean, and Ocean’s Thirteen takes the top spot instead. Crime caper takes in $37 million, just about in line of what the Eleven and Twelve previously accomplished. Pirates will have to do with the runner up spot, with $21.3 million. With a total war chest of $253 million, together with Shrek and Spidey, it seems all these tentpoles will easily top the $300 million mark by the end of their runs. Knocked Up has another strong week at the number 3 spot, with $20 million, it had the second best screen average this week. Surf’s Up, a CGI animation involving penguins (AGAIN ? Yeah, this time it’s from Sony Pictures), does reasonable business with $18 million. Rounding out the top 5 is Shrek the Third with $15.8 million. Still suffering from a time travel virus from last year (The Lake House), Sandra Bullock’s reluctance to consult a calender (till almost the end of the movie) is the stupidity that drives this movie. Drama-wise, it is able to create some tension, but the silly screenplay and characters negate most of its effectiveness.5Â½. Here we have the first part (technically the second) of Grindhouse, a movie somehow deemed not fit for the rest of the world to be seen in one go. In the aftermath, it wasn’t such an absurd idea after all. In all its unexpectancy, Quentin Tarantino goes into unknown territory, that being, girly talk. Not the macho (Pulp Fiction) kind, REALLY REALLY story irrelevant GIRLY talk kind, the kind where you can’t form an emotional bond with the character. And some 95% of the movie at that. With Pulp Fiction, it’s quite funny. With this movie, it’s quite boring. Luckily, there are some horror elements, one mysterious character, and one memorable brilliant char chase scene that makes up a bit for it.7. Heroes: What a season. What started as a generally good show (with a few steals here and there), continued growing into this adrenaline boosting chess game with fate and courage duking it out, while you grow to love the characters. And what a setup for *gasp* volume 2 ! My Name is Earl: The only comedy on air that’s as consistenly funny in a whole variety of ways as this one. Boot to that, major changes are happening towards the end, even though the karma story outline seemed to have been able to keep the show rolling. Lost: More answers and more questions. But with the story’s definite ending in sight (2 more seasons), its unique 1-person’s-flash-back-story-telling-rule, while seemingly limiting, is supremely smart and continues to pay off. Boston Legal: Amazingly whacky story telling continues, with a whole can of freaky recurring characters standing by. This courtroom drama has been quite a thrill ride. South Park: With only 7 episodes in the first half of its eleventh season, I can’t say the jokes have gone softer, or less provocative. It’s as strong as always, including all new controversies it creates. CSI: Finally a season with a thread going on, and an interesting goose-chase that was. Finally more is revealed in the season cliff hanger, but the Tarantino level has not been reached. Of course, Grave Danger is kind of a hard act to follow, it’s slowly trying to. Jericho: It got to the finish line (while still sliding in the ratings), and while not a shining star, it was pretty well-written and executed. For a serialised series, of which there are not a lot of (not counting Prison Break and 24 wannabees), it was enough to stand out. And with fans crying foul and setting up campaigns, its impending REAL doom (cancelation that is), seems to be overturned to a last series of 7 episode during mid-season. 24: Another season, but somehow it doesn’t feel as sharp as it has been. Dullness is especially tangible with the somewhat of a anti-climax-ish ending. Of course, it’s still entertaining, and we’ll see another one those horrible Jack Bauer days (after all, he signed on for two more). No matter, it’s still entertaining in a way. Smallville: Several groundbreaking events have made this season definitely more memorable than the ones before, but somehow you keep waiting for that “reset” show, where everything is turned back (be it memory loss or some Kryptonian time trick). For now, I’ll just hope the ride continues a little bit further than just the season opener. King of the Hill: Short season, and nothing seems to ever change. But that’s exactly how you like this normal yet whacky show. One more season to go before the All-american family goes off the air. Criminal Minds: This show I followed, purely because I have the time. While interesting now and then, it’s character development is nigh nill. Season finale might signal something new, but I can’t be too sure. This show is in the danger-zone. Everybody Hates Chris: This is actually a show that’s been going downhill a bit unnoticed. That’s because, while funny now and then, there’s not enough variety, plus the same running gags get old. In an over-crowded upcoming TV schedule (with over a dozen new shows coming up in September), this one will be the first to warm the bench. Shark: During the mid-season replacements, I totally didn’t have interest to pick this one up again, so I didn’t catch the season finale. Won’t see you back next season, dude. 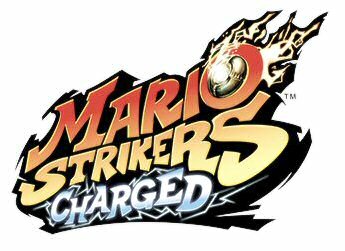 A few more days, and you could’ve caught the newest, first Wii online game ever Mario Strikers Charged if you were just standing beneath the window of my house. I was on the verge of throwing it out the window (with a humiliating online score of 0 – 10, ranked somewhere near 300.000, with no living being in the near vicinity). Today though, I’ve won 2 games (4 sets), so I’ve just decided to keep this game just a bit longer. Only time will tell if I just beat the two people coincidentally ranked 300.001 and 300.002, or that the extra practice against the computer paid off (including reading the booklet, which had 2 pretty important moves not shown in the in-game tutorials). You are currently browsing the Kimputer's Weblog weblog archives for June, 2007.